The city of St. Louis is located on the banks of the mighty Mississippi river, dotted with rolling hills that are perfect for mountain biking, particularly on the southwest side of the metro area. 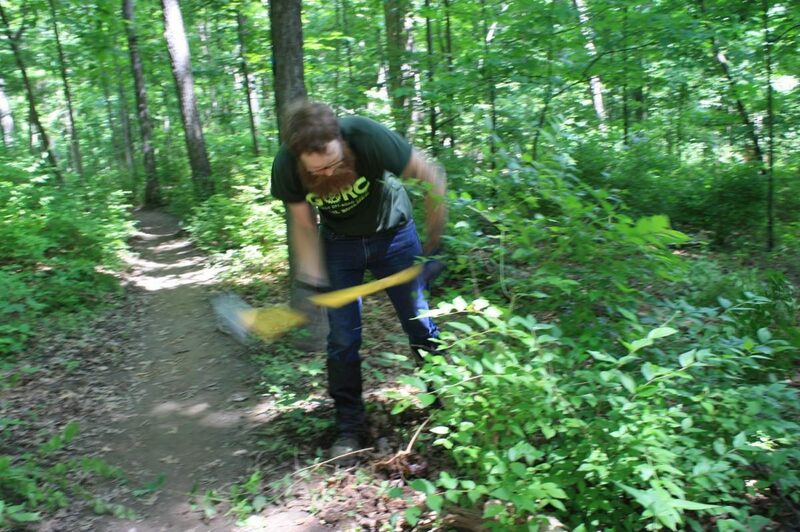 The Gateway Off Road Cyclists (GORC) work tirelessly to build and maintain dozens of bike trails in the St. Louis area and beyond, giving visitors plenty of great options to explore. 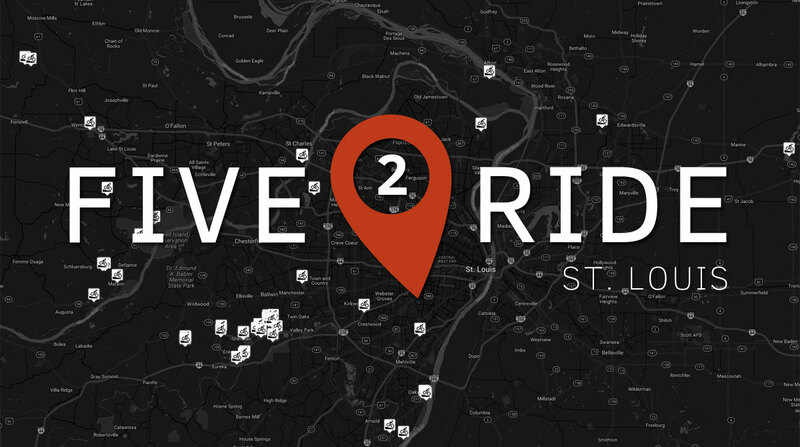 Singletracks readers seem to agree that Matson Hill is the best place for mountain biking in the entire St. Louis area. Just be warned: Matson Hill isn’t exactly close to the city center, located some 40 miles to the east of town. 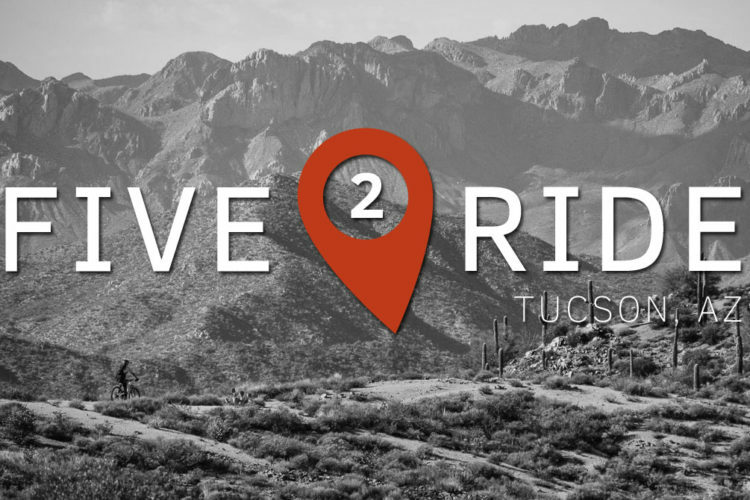 Riders will clock a little less than 8 miles riding all the singletrack at Matson Hill with nearly 1,000 feet of climbing along the way. 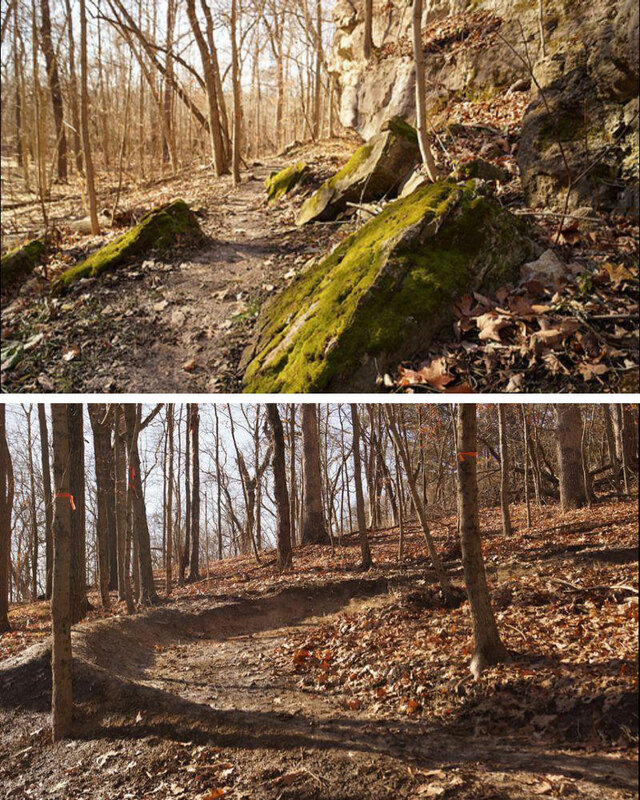 Matson Hill has a little bit of everything for intermediate riders including roots, flow, climbs, and stream crossings. 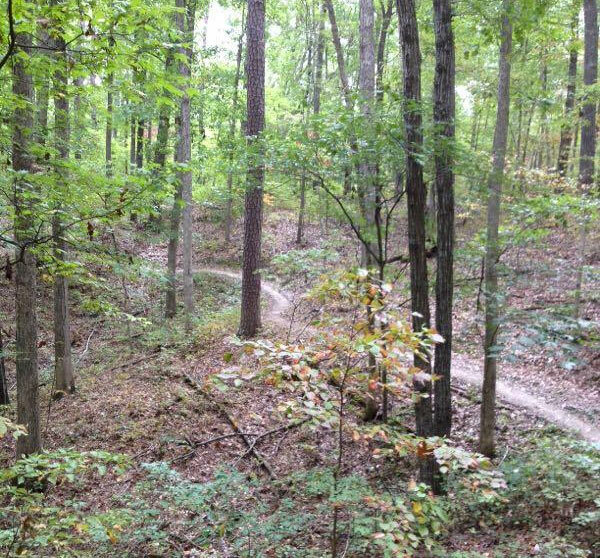 GORC’s Craig Seibert says, “Matson’s deep ravines make it quite slow to dry after a rain,” so be sure to check with St. Charles County Parks to make sure the trails are open before heading out. The Lost Valley trail system offers slightly more singletrack that Matson Hill–10 miles–with roughly the same amount of climbing. The good news for endurance riders is that Lost Valley and Matson Hill can be connected with a roughly 6-mile ride along the crushed limestone Katy Trail, a rails-to-trails corridor running 237 miles from the Illinois state line to Clinton, MO. Singletracks reviewer illini81 says, “this is an excellent MTB trail system” but due to the abundance of rocks, it’s not recommend for beginning mountain bikers. Located about 35 miles east of downtown St. Louis, Greensfelder Park features 20 miles of hilly, intermediate bike trails. 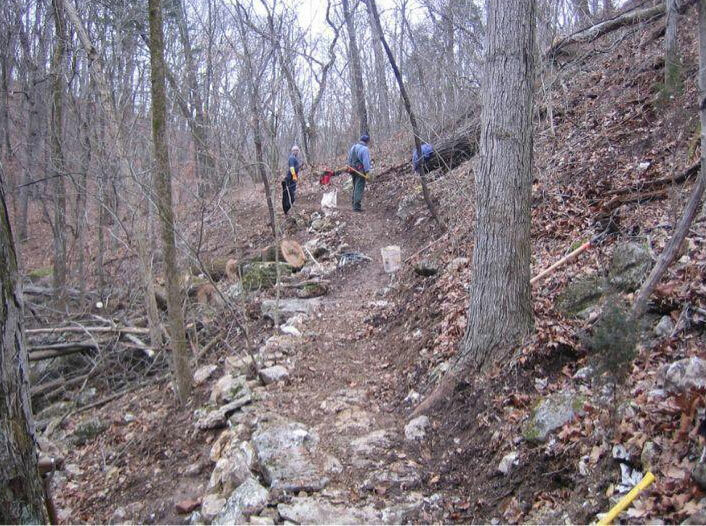 GORC continues to improve the trails in the park, transforming unsustainable sections into flowy goodness, while keeping many of the challenging rock gardens intact. 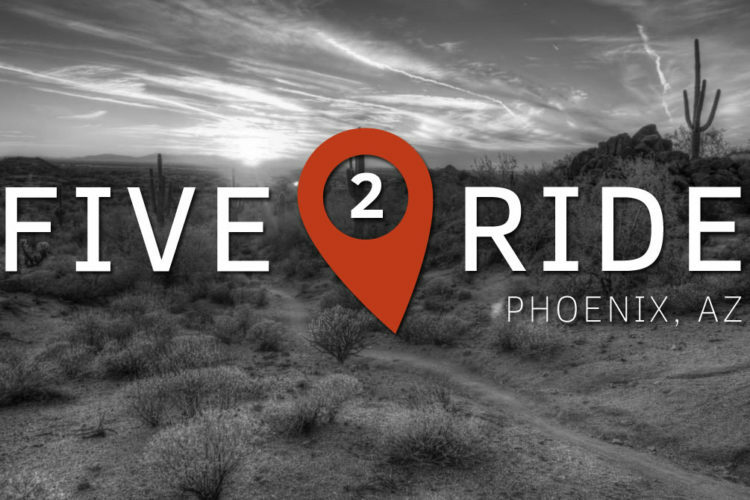 The park hosts regular mountain bike races and the trails are multi-use, so always ride in control and be aware of other trail users. The Bluff View trail is short and sweet, officially clocking in at less than 3 miles long. But this short trail offers great views, sweet berms, and chunky rock sections to keep riders entertained lap after lap. 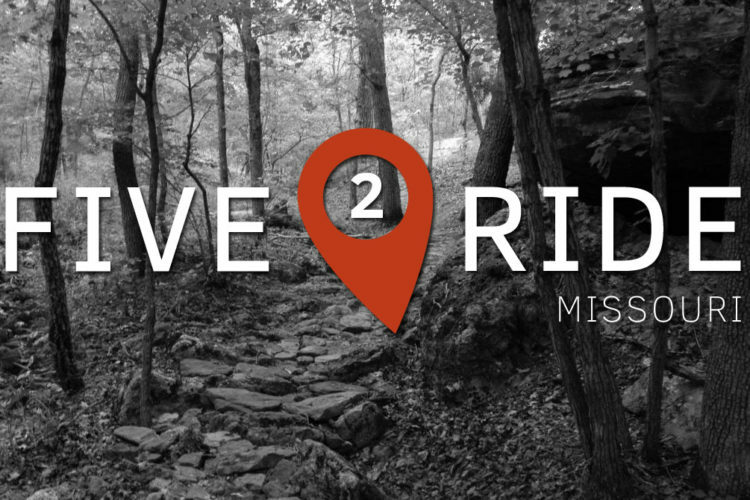 Traveling further south and west of St. Louis, visitors will find the Ozark mountains, which offer more remote, backcountry rides along with serious climbing. 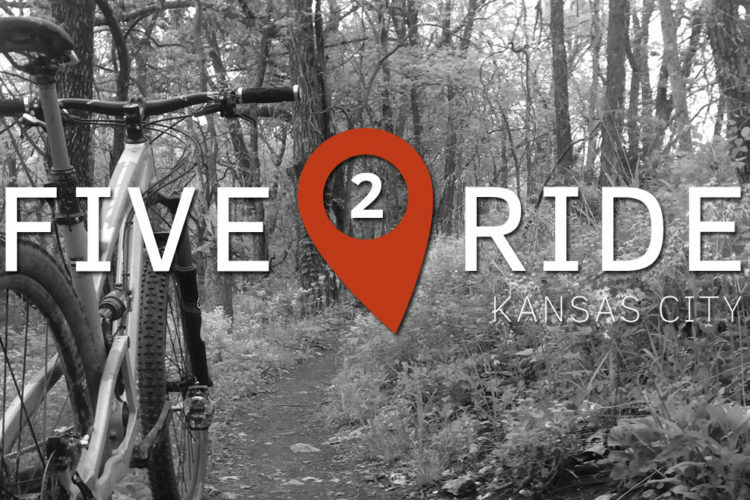 The IMBA Epic Berryman trails are located less than 2 hours from St. Louis, and because the rocky soil here drains well, it’s a good ride almost any time of the year. 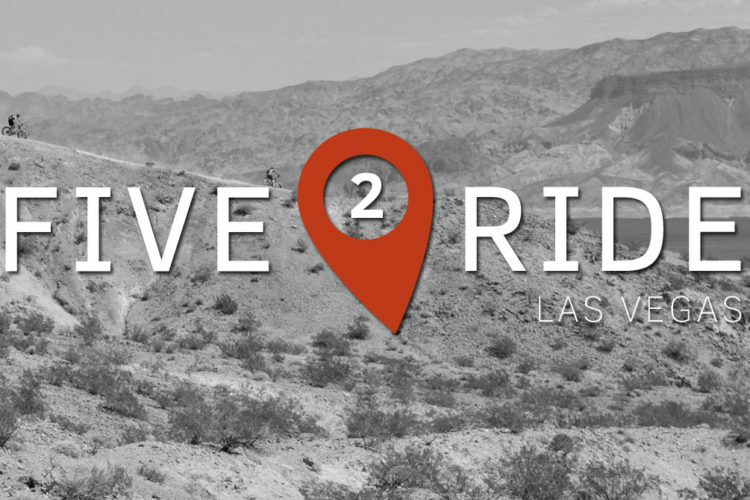 Most choose to ride the entire 25-mile singletrack loop, though there are several bailout routes that bisect the area for those who need to cut the ride short. The trail is located in the Mark Twain National Forest, and there is a campground at the start of the loop that makes for an excellent basecamp. Hey Jeff. I love the 5 to Ride series. Please keep it goin’. Also when I saw this piece about STL, I immediately thought of the Berryman Trail. I was thinking that it would worthy to add in the comments section even though it is about two hours away. So I was really glad to see that you added it at the end of the article. 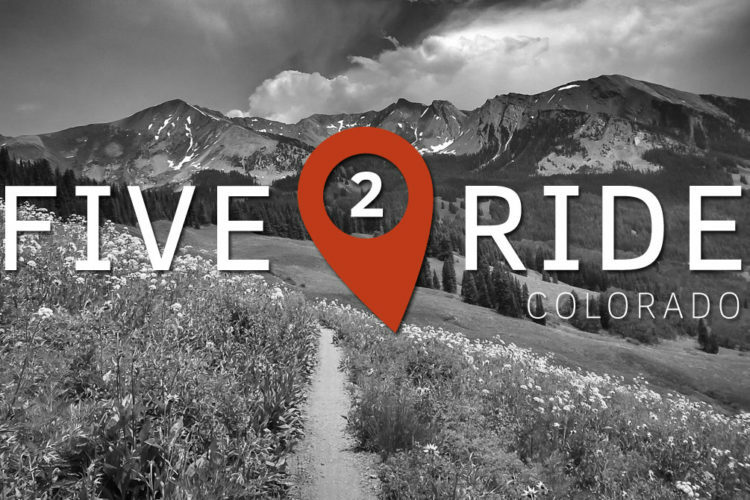 Berryman is such a great backcountry ride, considering that it is in the midwest and so close to I-70. It is the only trail I can remember riding in the Mid-West that didn’t double back on its self a lot. You get on the Berryman, and after about 20 minutes, you realize/feel like you’re going somewhere. The Ozark Trail is pretty special, and once it connects to the Arkansas Trail, that region is going to have something pretty special to brag about.